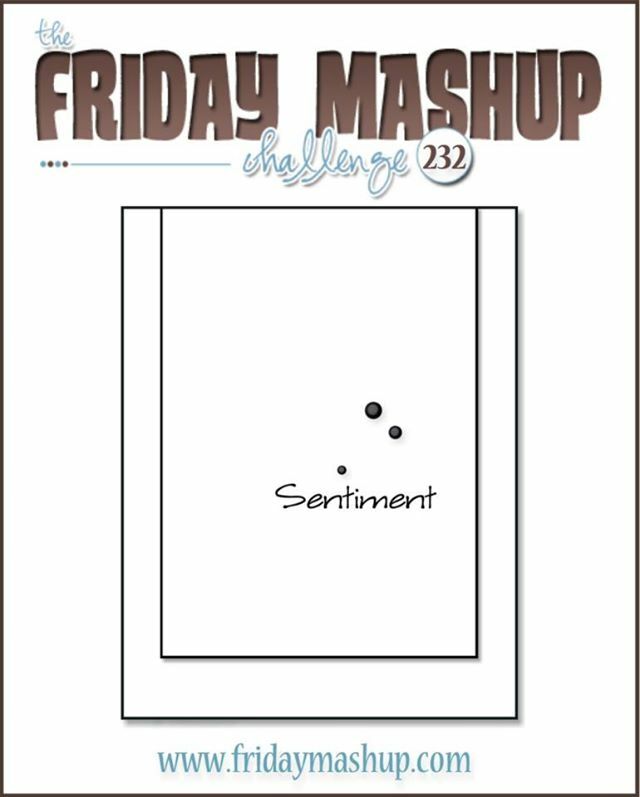 It's time for a new Friday Mashup challenge and this week Holly is our hostess. She has a fun sketch for us, and would also like to see leaves on our projects. Here in my neck of the woods the leaves have been off the trees for about a month and we're supposed to have snow showers most of Friday! Wooohoooo for snow! 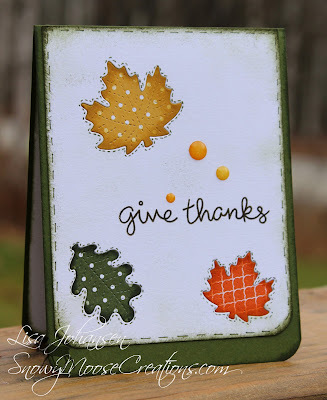 I used the small stitched leaves die from Lawn Fawn to cut shapes into a white panel. I cut the 3 leaves out of various DSP and then did the inlaid technique (which we did as part of a FM a few weeks ago). I used a green pen to create faux stitching around the leaves and for a border around the white piece. I then sponged the green color around the edges of the white panel. The sentiment is from the Lawn Fawn set Thankful Mice and I used Doodlebug Sprinkles for embellishments. Head on over to The Friday Mashup blog to see what the rest of the DT came up with and then play along with us! Create a project with some Leaves. or Mash it Up! and create a project using the Sketch and some Leaves.